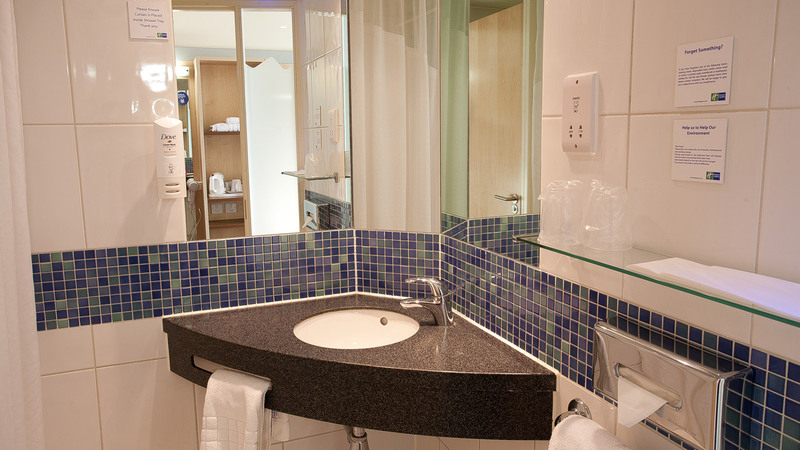 The Holiday Inn Express Slough has 142 modern newly refurbished hotel bedrooms over 8 floors. Accessible hotel bedrooms are available on request. We welcome families so all of our double rooms have new sofa beds so each room can accommodate 2 adults & 2 children. Rates start from £52.00 and include a continental buffet breakfast with extra hot items. Start your day with an invigorating power shower. You can catch up on emails with the hotels Free High speed Wi-Fi and relax with video on demand on your flat-screen TV. Make yourself at home amid warm red and cream décor in your comfortable Guest room. Please note as of 1st September 2018 parking will be chargeable at £10 per day, however we only have limited parking. Guests are welcome to use the adjacent train station car park, which is chargeable at £12.70 per day. For more details, please contact the hotel.